Chitika is giving away 1 of this year's hottest phones, along with $400 cash in this Adsense+Chitika | Premium placement contest. Since one of the best ways to earn the most revenue is by using AdSense and Chitika | Premium together on the same page, we thought we would hold a contest to see who has the best AdSense + Chitika | Premium setup. What do you mean by AdSense + Chitika | Premium setup? All entries must be received by 11:59 pm US EDT on Sunday, Dec. 21. We look forward to seeing what you all come up with!!! If you don’t have Chitika | Premium code yet, you can grab it here. Also - if you are unfamiliar with Chitika | Premium, you can learn how it works here. There are a lot of websites which provide user to download FLV movie from YouTube and other popular video sharing websites. But, most of them only support YouTube. But, ClipNabber support a lot of website, including Youtube, Dailymotion, MegaVideo, Metacafe, Veoh, MySpace, Break, iFilm, Google Video, and etc. This is the advantage compare with other similar service. Just paste your video address into the URL textbox, and click ‘Nab Video’. Aorund 5 seconds, you will get the link to that video. After download the video, you need to manually rename the file extension to ‘.flv’. In November, Microsoft released a major update to its Windows Live online services. Today, Microsoft also released the new versions of its Windows Live Essentials desktop tools that accompany the online services. The Windows Live Essentials suite includes updates for Live Mail, Live Messenger, Live Writer, Live Photo Gallery, Live Movie Maker, Live Toolbar, Office Outlook Connector, and Windows Live Family Safety. There are also a two new additions: Windows Live Sync and the Office Live Add-In. Silverlight is now also part of the Live Essentials suite. All of these applications are meant to complement the Windows Live online experience and work closely together. You can, for example, use Windows Live Sync to keep your online and offline photo albums in sync. Live Sync has replaced FolderShare and allows you to sync any kind of file to the 25GB of space that Microsoft's SkyDrive online storage service now offers. We tested the new versions of the Live Essentials for the last few weeks and all of them represent a major update to the older versions. Even if you don't typically use the Microsoft's Live services, installing the Live Photo Gallery, for example, is well worth a try thanks to its seamless integration with Live Photos and SkyDrive. This new version compares quite well with Google's Picasa 3 and also lets you upload photos to Flickr. Photo Gallery also ties in with other Microsoft tools like Auto Collage or PhotoSynth. Windows Live Writer, on the other hand, is more of an evolutionary update, but it is the favorite blogging client for a lot of us Windows users here at RWW and the update makes handling media files a lot easier. Also worth a look are the enhanced Live Toolbar and the Windows Live Messenger, which has received a major facelift. The Live Toolbar (IE only) now displays your updates from the Windows Live online services, including new messages and pictures from friends. 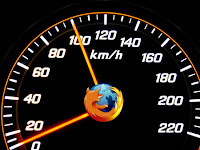 You can also use the toolbar to sync your IE7 and 8 bookmarks between different computers. The real selling point for the Live Essentials suite, however, is how well all the apps play together, both online and offline. Live Photos, for example, can use your Live Messenger and Hotmail contact lists for tagging faces, or the Live Messenger connecting to your status updates on your Live Profile page. The one Live Service that has remained behind, though, is Live Mesh, which seems to be on its own development track. We assume, however, that it will be merged into the Live services at some point. THIS IS A VERY SIMPLE TRICK. NO SOFTWARE REQUIRED. NOTE: this trick only works for broadband users not for dialup. PC Tools iAntiVirus Beta Edition, an anti-virus and anti-spyware software application designed especially for the Mac. It’s free to download, though $29.95 nets you full support and updates for one year. 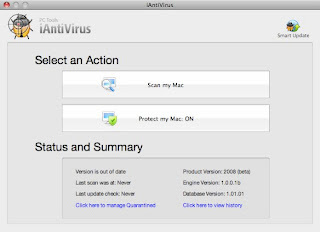 iAntiVirus’ database is Mac-specific and doesn’t contain any information about Windows-based threats, according to the developer. It’s designed to work in the background when in monitoring mode, unobtrusively blocking threats and removing them with minimal system impact. It automatically places detected infections in quarantine and lets you view and restore items, displaying an alert below the system menu bar. You can also configure different scans, depending on your security needs. System requirements all for Mac OS X 10.5 or later and 15MB hard disk space. 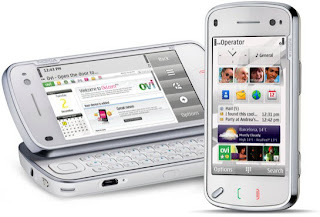 Nokia Released officially information about 2009 flagship phone the N97. Nokia N97 comes with 3.5-inch, 16:9 touchscreen and the resolution is 640×360. It can store up to 48G bytes, including 32G bytes of internal storage and another 16G bytes via a microSD card slot. It has QWERTY Keyboard and 5-megapixel camera with a dual LED flash, A-GPS (Assisted Global Positioning System), HSDPA (High Speed Downlink Packet Access) and Wi-Fi. The price is around 690 USD. if u find this article usefull pls do post ur views in the comments below. Japan's Softbank Mobile unveiled a line of luxury mobile phones which have been encrusted with diamonds, and Softbank has said they will sell a limited run of just ten mobile phones each studded with 537 diamonds from Tiffany & Co with a total weight of 18.34 carats. The company has launched ten limited-edition Tiffany phones at a whopping price tag of 12.98 million yen ($130,265). Of these, eight limited-edition phones were sold out in just three days. Japan is the world's largest market for luxury goods and nearly everyone owns a cellphone, leading fashion companies to try to tap into the mobile market. If u like post do post ur views in the comments below.